Rolof Plumbing & Heating specializes in full service plumbing & hydronic heating. We can offer you the support & expertise required to make the most energy efficient solution to your plumbing & heating needs. Whether it be a new home construction, renovation project or upgrading to a more energy efficient heating system Rolof can partner with you to help guide you through the process. Rolof Plumbing & Heating is located in Leduc, Alberta providing service to the city of Leduc & surrounding area including Edmonton & Sherwood Park. As an accredited member of the Better Business Bureau, we take pride in offering our customers & builders quality products supplied by reputable companies. By staying up-to-date with new & emerging trends & technology our experienced technicians can provide you with the expertise required to leave you with peace of mind that you have made the right choice for your project. We base our continued success on the level of customer satisfaction we have achieved & are continuously striving to maintain that distinction. 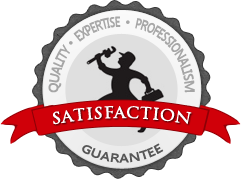 Our philosophy is to provide you the customer with the same quality of service & integrity that we have built our reputation on. Copyright © 2013 Rolof Plumbing & Heating Ltd.
Rolof Plumbing & Heating Ltd.